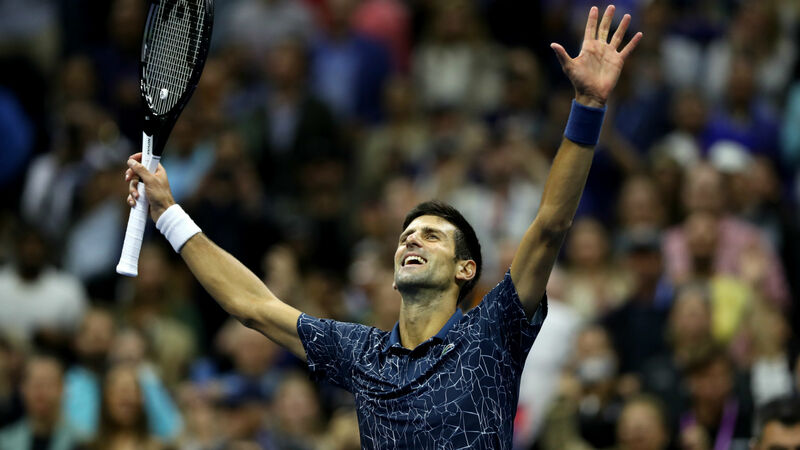 The rejuvenated Novak Djokovic produced a magnificent performance against Juan Martin del Potro to claim his third US Open title and equal Pete Sampras’ haul of 14 grand slams. Yet Djokovic was ultimately too strong, his ability to counter his opponent’s two biggest weapons — Del Potro’s serve and forehand — proving key as he triumphed 6-3 7-6 (7-4) 6-3 in three hours and 16 minutes. Del Potro — the 2009 champion back for a second slam final after overcoming career-threatening wrist injuries — threw everything he had at his rival, but Djokovic absorbed the Argentinian’s power superbly, his returning of serve particularly outstanding. Twenty-four hours earlier, Serena Williams’ spectacular row with umpire Carlos Ramos — and the ensuing fallout as the American accused the official of sexism — had overshadowed Naomi Osaka’s victory in the women’s final. Yet the atmosphere was more positive on Sunday as spectators enjoyed an absorbing contest — again played under the roof of Arthur Ashe Stadium due to rain — between two great friends. Del Potro’s forehand is among the most intimidating weapons in the sport, but it misfired under relentless pressure towards the end of the first set, Djokovic breaking in the eighth game — at the end of a 22-shot rally — and taking the opener. However, the underdog dialled up his intensity to great effect — that massive forehand clicking into gear — and was aided by significant crowd support as he capitalized on a brief dip in Djokovic’s form to get back on level terms. Amid increasing noise between points and serves, which prompted frequent interventions from chair umpire Alison Hughes, the previously assured Djokovic — who missed the tournament last year due to an elbow injury — appeared agitated. Having worked so hard to resist Del Potro’s charge, Djokovic saw his tenacity rewarded as Del Potro’s forehand again went missing at the worst moment, successive errors from 4-4 in a tie-break proving costly.